That said, Zara started their sales a full five days before Christmas in 2013. Then in 2016, they changed up the dates by holding their sales several days after our predictions. Whether it happens before or after Christmas (or even after New Year), the first reductions will signal the beginning of one of two enormous Zara sales during the year. 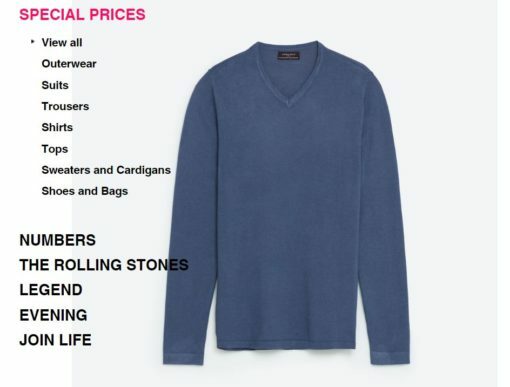 As we all know, Zara’s prices are already at a very reasonable point considering the quality and off-the-runway trends, so another 5-6 markdowns gets their fanbase in a frenzy. UPDATE: It doesn’t look like Zara had any markdowns on December 26, 2016. Their Twitter account has also been unusually quiet about sales as of late. We’ll continually update this post as more info comes out. UPDATE 2 A reader sent us a note at approx. 5pm PST alerting us that Zara.com started their sale online today, Dec 26. We later personally (and happily) confirmed that sales were also in-store! When we talk about Zara’s “Fall/Winter” sale, we refer to one of their two huge, 5-6 week bi-annual sales, not any of their smaller markdown events that happen throughout the year such as for “Black Friday”. Or their online sales like Cyber Monday or their “Special Prices” found on Zara.com. Zara Sales: Zara unleashes bi-annual, month long sale What are the dates for 2015-16 Zara’s Fall/Winter sale? Zara’s 2016-17 fall/winter sale has begun online and in-stores! No sale in india yet….any further prdeictions?